IPL, or Intense Pulsed Light Therapy, is an exciting procedure that can diminish the appearance of age spots, facial flushing, purple or blue veins on the face, port wine stains, tattoos, flat birth marks, hypo-pigmentation, fine wrinkles, broken capillaries, freckles, redness, and minor sun damage. This treatment can even be used for hair removal. IPL can be used to treat the face, chest, neck, and hands, and treatments only take 15 to 30 minutes per session. Almost anyone can be a candidate for this procedure but only your doctor can fully determine if your skin type is compatible with IPL. This treatment is a painless alternative to chemical or laser peels and in many cases patients report a reduction in pores and smoother skin. IPL is a quick, non-invasive procedure and best part is that there is virtually no downtime. Prior to your first IPL treatment, you will meet with your doctor to discuss your goals and to determine the best way to treat your problem area. Your doctor will perform a spot test on the desired area to see how your skin reacts. 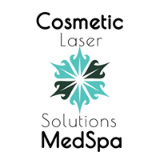 This procedure is very simple and consists of emitting high intensity pulses of light to the skin. Different machines are used for various levels of penetration. A topical anesthetic can be used to ensure your comfort if desired and you will be given dark glasses to protect your eyes from the bright light. A soothing gel will then be applied to the face and a glass pyramid will be placed on top of the gel. The pulses of light will go through the pyramid and treat the desired areas of your face. There are filters in the handpiece that control the wavelength range allowing for different applications and skin types. The light passes through the facial tissue where it is then absorbed by either blood or melanin. The injured tissue is then removed by the body's natural processes and the skin appears fresh and even. The first session of IPL will not be very aggressive in an effort to not aggravate the skin. You will have treatments every 3 to 4 weeks, and the intensity will increase with time. As mentioned earlier, there is no downtime with this procedure, so you can resume your normal activities immediately and most clients do not report any discomfort following their session. However, you will need to protect the affected areas from UV rays, including tanning beds. You may notice minor swelling and your skin might be a little pink, but this should disappear within a few days. It is advised that you keep the skin clean by washing the area twice daily, but make sure to only use cool water. It is also important to keep the skin moisturized. You will be encouraged not to exfoliate the treated area for 3 to 4 days after your session, and to not use any products containing Vitamin C, Retin-A, or Alpha-Hydroxy for 24 hours. IPL is a very safe procedure, but there are a few risks. In rare cases bleeding, scabbing, and scarring have occurred. If you notice blistering, apply a topical antibiotic ointment. Pigmentation problems have also been reported, and in these instances normal skin tones return within a few months. For most people, IPL is the safest and fastest way to improve skin imperfections and the majority of IPL users are completely satisfied with their results.